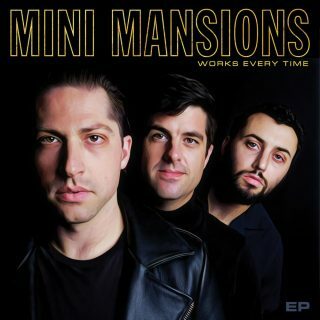 Mini Mansions : Works Every Time [EP] album download | Has it Leaked? California trio Mini Mansions unveil their new "Works Every Time" EP, due for release September 28. Mini Mansions are singer and guitarist Michael Shuman (bassist of Queens of The Stone Age), bassist Zach Dawes (The Last Shadow Puppets) and singer and keyboardist Tyler Parkford.